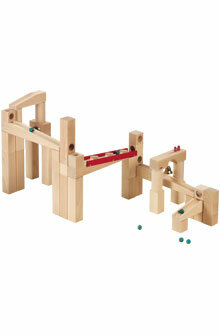 Young engineers will enjoy constructing a run and then testing their design with the enclosed marbles. 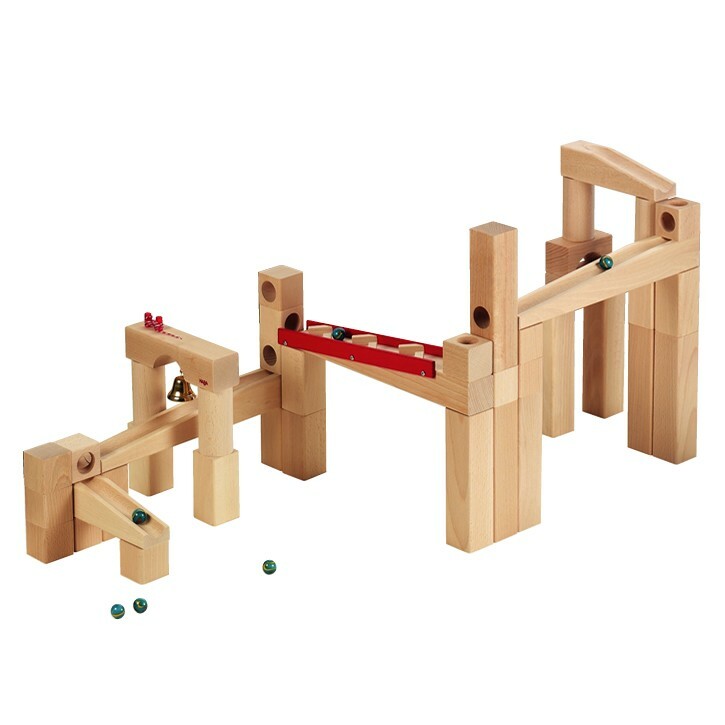 Simply align the holes and ramps to create a different maze every time! 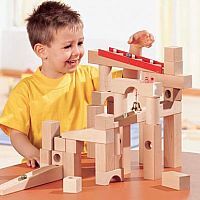 Marble runs promote imaginiation, experimentation and fosters spatial perception and motor skills. 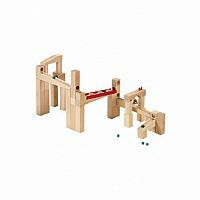 See our additional add-ons to give this marble run endless possibilities. 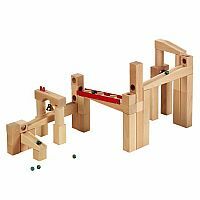 Contents: large construction set with 42 beechwood pieces, 6 marbles and a little bell that rings when the marbles cross the finish line. WARNING: CHOKING HAZARD – This toy is a marble. Not for children under 3 years.